Señor Gould is a native Costaguanan of English descent who owns the silver-mining concession in Sulaco. He is tired of the political instability in Costaguana and its concomitant corruption, and puts his weight behind the Ribierist project, which he believes will finally bring stability to the country after years of misrule and tyranny by self-serving dictators. Instead, the silver mine and the wealth it has generated become a magnet for local warlords to fight over, plunging Costaguana into a new round of chaos. Among others, the revolutionary Montero invades Sulaco; Señor Gould, adamant that his silver should not become spoil for his enemies, entrusts it to Nostromo, the trusted "capataz de los cargadores" (head longshoreman). Nostromo is an Italian expatriate who has risen to that position through his daring exploits. 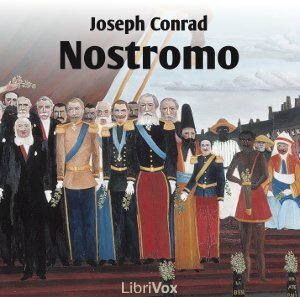 ("Nostromo" is Italian for "mate" or "boatswain," as well as a contraction of nostro uomo — "our man.") He is so named by his employer, Captain Mitchell. "Nostromo's" real name is Giovanni Battista Fidanza — Fidanza meaning "trust" in archaic Italian.